by Justin Madore This film is devastating. That may seem like an obvious statement for a story about the Holocaust, but first-time director László Nemes has really upped the bar when it comes to the amount of emotion that can be drawn out of a person in less than two hours. He does this rather conversely by not reveling in self-pity (*cough* The Boy in The Striped Pajamas *cough*), restraining the typical cues used to communicate to audiences that they should feel bad. Because of this, Son of Saul is a totally unique film that bucks the norm and tells an emotional story on its own terms. Son of Saul is about a man (named Saul) forced to work in Auschwitz towards the end of the war, disposing of bodies and cleaning up after them. One day, after a routine gassing, Saul finds the body of a young man he believes to be his son and is compelled to give him a proper Jewish burial. 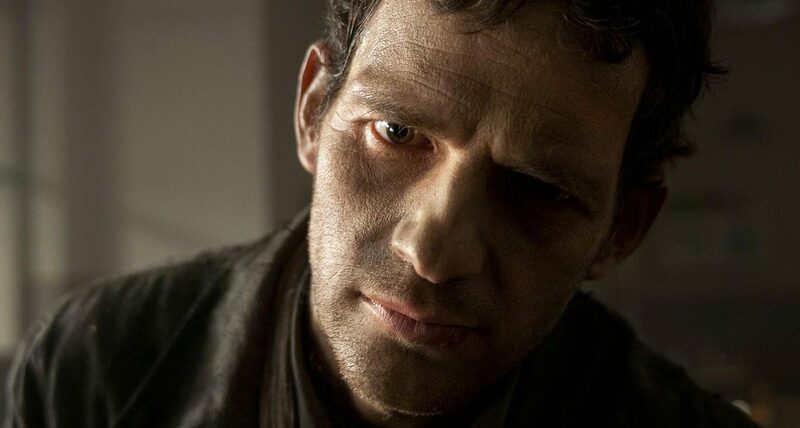 Chronicling his efforts to do so, Son of Saul takes the audiences through hell. Gassings, point blank executions, and body burnings are common atrocities that Saul is forced to perpetrate. The camera sticks with our leading man, Géza Röhrig, for nearly the entirety of the film in a close shot focused on Saul’s face and body language. The aspect ratio is 1.37:1 and the picture isn’t presented in beautiful, pristine resolution. Instead, the aesthetic is grimy and claustrophobic. Backgrounds are intentionally blurred, allowing the focus to fall on Saul, capturing his performance in all its agonizing glory. He is a man who doesn’t want to be seen, perhaps because he doesn’t believe he should be. Keeping his head down, he stares blankly ahead, shuffling along like a cog in the machine as he does his duties. The distinct lack of emotion in his face as he helps his captors murder and discard his own people is heartbreaking. This contrast between his passive attitude and the haunting background visuals drives the emotion. The few times that he actually breaks from his normal manner, Röhrig shows great intensity. As a first-time actor in a theatrical film, he gets every bit of emotion out of a mostly stoic performance, and excels in the process. Many times when dealing with particularly heavy subject matter, directors will rely on auditory stimulation to tell audiences how to feel. Son of Saul cleverly avoids this pitfall with an unconventional approach to its sound design. Because the camera follows Saul, we only hear what he hears. There aren’t any cutaway shots with audio cues of other subjects. The sound is intentionally designed to immerse us in an intimate journey with Saul. There’s also a shocking lack of a melodramatic score to accent the high tension moments. More than in any Holocaust film I can remember, you experience the panicked shuffling of Jews being led to their deaths and their subsequent screams. The raw, unfiltered nature of it is disturbing and unforgettable. The visuals also match the distinct minimalism, as the aforementioned blurriness and distortion of everything around Saul mirrors his detached demeanor. Son of Saul gets a lot of praise for what it isn’t. It isn’t a film that buys into the style of hamfisted storytelling practiced by so many filmmakers today and it doesn’t overload audiences by eliciting emotional responses with deeply rooted psychological prompting. Instead, it tells a delicate story in the most understated way possible. A masterpiece of the “Holocaust genre,” it’s a dedicated and realistic portrayal of one of the darkest hours in human history, anchored by remarkable performances and intelligent directing. Truly one of 2015’s most intense and accomplished films.